What is natural law and how does it function in the Jewish, Christian, and Islamic traditions? Where are there points of tension or agreement? How, if at all, can natural law contribute to resolving contemporary disputes over religious freedom? 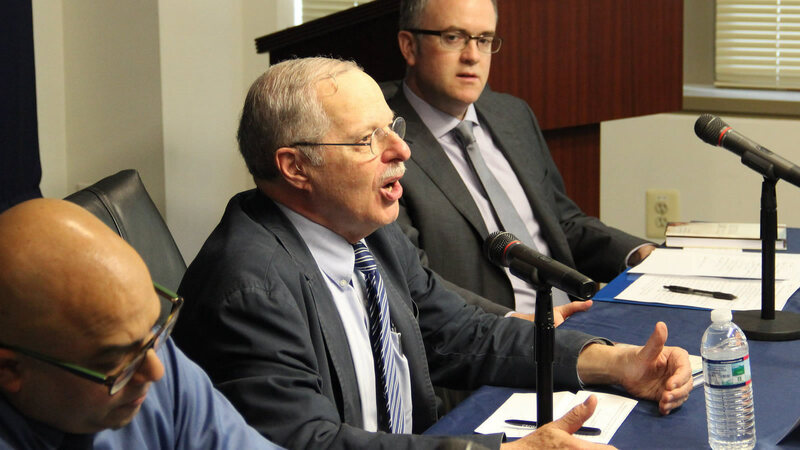 Co-authors David Novak and Anver Emon explored these questions in a discussion on their book Natural Law: A Jewish, Christian, and Islamic Trialogue (2014), also co-authored by Matthew Levering. In this work, each author examines the classical writings of his respective faith tradition and explores each faith’s contributions to natural law doctrine. These reflections are also brought into conversation with one another. The authors address points of contention that seem to divide the three faith traditions, while also discovering certain universal values that support natural law. RFP Associate Scholar and Notre Dame professor Daniel Philpott served as a respondent. RFP Associate Scholar and University of Virginia professor John Owen moderated the discussion. 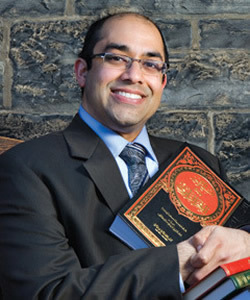 Anver Emon is a professor at the University of Toronto Faculty of Law and the Canada Research Chair in Religion, Pluralism and the Rule of Law. His research focuses on premodern and modern Islamic legal history and theory, premodern modes of governance and adjudication, and the role of sharia both inside and outside the Muslim world. Along with numerous articles, Emon is the author of Islamic Natural Law Theories (2010) and Religious Pluralism and Islamic Law: Dhimmis and Others in the Empire of Law (2012), as well as co-editor of Islamic Law and International Human Rights Law: Searching for Common Ground? (2012). He is founding editor of Middle East Law and Governance: An Interdisciplinary Journal and a series editor of the Oxford Islamic Legal Studies Series. Emon holds five advanced degrees, including a J.D. and Ph.D. from the University of California, Los Angeles, M.A. from the University of Texas, Austin, and LL.M. and J.S.D. from Yale Law School. David Novak has held the J. Richard and Dorothy Shiff Chair of Jewish Studies as professor of the study of religion and professor of philosophy at the University of Toronto since 1997. From 1997 to 2002 he also was director of the Jewish Studies Programme. 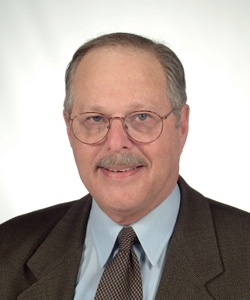 Previously, Novak taught at the University of Virginia, Oklahoma City University, Old Dominion University, the New School for Social Research, the Jewish Theological Seminary of America, and Baruch College of the City University of New York. Novak was an associate scholar with the Berkley Center's Religious Freedom Project from 2011 through 2013. He is the author of 16 books, including The Sanctity of Human Life (2007) and In Defense of Religious Liberty (2009). From 1966 to 1969 he was Jewish chaplain to St. Elizabeth's Hospital and the National Institute of Mental Health in Washington, D.C.
John M. Owen IV is the Ambassador Henry J. and Mrs. Marion R. Taylor Professor of Politics, faculty fellow at the Institute for Advanced Studies in Culture, and faculty affiliate with the Miller Center of Public Affairs at the University of Virginia. His books include Confronting Political Islam: Six Lessons from the West's Past (2014); The Clash of Ideas in World Politics: Transnational Networks, States, and Regime Change 1510-2010 (2010); and Liberal Peace, Liberal War: American Politics and International Security (1997). 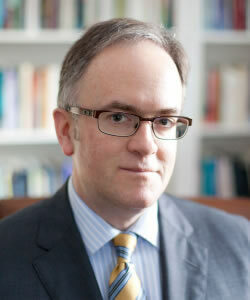 He co-edited Religion, the Enlightenment, and the New Global Order (2011). Owen's articles have been published in Foreign Affairs, National Interest, and the New York Times. 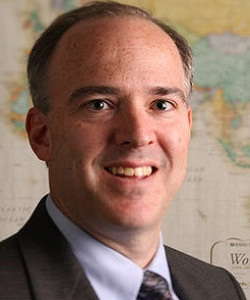 He was editor-in-chief of Security Studies from 2011 to 2014; he is an editorial board member of International Security. From 2014 to 2016, Owen was an associate scholar with the Berkley Center's Religious Freedom Project. Owen received his Ph.D. and A.M. from Harvard University, M.P.A. from Princeton University, and A.B. from Duke University.